Superior technology and content equip Gold Standard Drug Database to meet today’s – and tomorrow’s – drug information needs for customers across the healthcare spectrum. With Gold Standard Drug Database integrated into your organization’s EHR, CPOE, pharmacy and other information systems, you can realize benefits at the point of care and enterprise wide. Gold Standard Drug Database will help you adhere to medication treatment core measures and guidelines—protecting against sub-par outcomes and readmissions—while improving knowledge for providers and patients. Content sets for hospitals & healthcare facilities include: Drug Product Suite, Drug Pricing Suite, Drug Image File, Reference Suite, Decision Support Suite, Prescriber Order Entry Suite, and Patient Education Suite. Your customers depend on the drug data you supply to ensure patient safety. Gold Standard Drug Database’s integrated data with TRUE Daily Updates™ supports you in protecting healthcare providers from making misinformed—and potentially harmful and costly—drug therapy decisions. 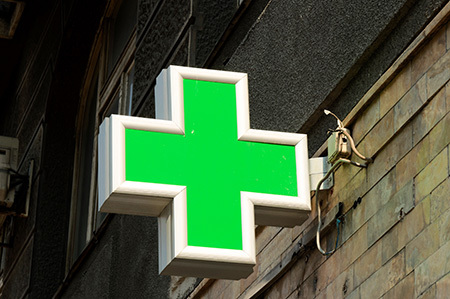 Community pharmacies face dual challenges in their corporate boardrooms and retail stores. Rising cost pressures and complex contracts squeeze the bottom line, while customer-facing staff is overloaded with patients who need safe, efficient and prompt care. Gold Standard Drug Database is your solution to improve both business and clinical outcomes. Content sets for community pharmacies include:Drug Product Suite, Drug Pricing Suite, Drug Image File, Reference Suite, Decision Support Suite, and Patient Education Suite. Fast-breaking industry changes impel health plans and other payers to rethink strategies for rising medication costs, customer satisfaction and consumer health. As the drug price leader, Elsevier supports our customers with solutions to help them navigate through market volatility, maintain transparency and achieve cost savings. The stakes are high for drug companies as they advance from product development to production and pricing. To gain and maintain a competitive edge, they must keep a vigilant eye on market conditions, new products and drug pricing trends. Elsevier’s drug pricing solutions supply critical intelligence to help drug companies make key business decisions. Gold Standard Drug Database provides government agencies acting as payers with quality drug information to make informed decisions for better clinical and financial outcomes, including drug abuse prevention.